Dr. Mohammed Dessouky, Dean, College of Law represented Al Falah University in a research dialogue session organized by the Dubai Police Academy’s Research and Studies Center. A number of academics and specialists attended the session during which they discussed several legal topics aimed at spreading knowledge among members of the local community. 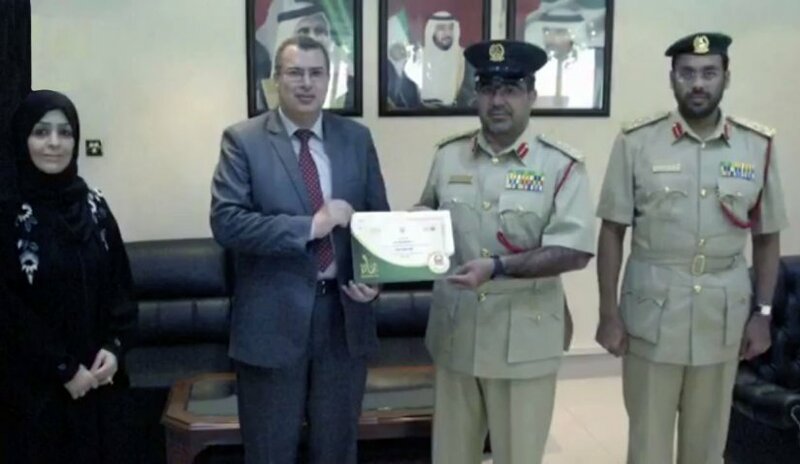 The meeting comes in line with the directive of the Government of Dubai and the Dubai Police General Command in the field of "Knowledge Dissemination".